5-6 hours walking up the Cameron Valley, not far from Lake Heron. glennj Visited this hut back in 1973. I remember it was very hot walking up from Lake Heron. 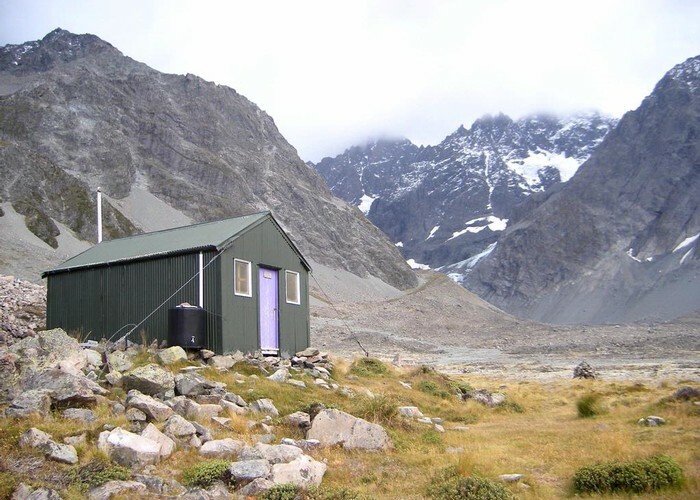 We stayed one night at the hut, had a look at the glacier & walked back down to the Lake. I remember a scary moment at the hut when a white spirits cooker (not mine) started flaring & exploded in a fireball just outside the hut. Luckily someone managed to flick it out the open door. A couple of people suffered minor burns in this incident. I guess the Cameron Glacier has receeded a bit since 1973. Added 17 April 2010 by KerrymKerrym. No revisions.